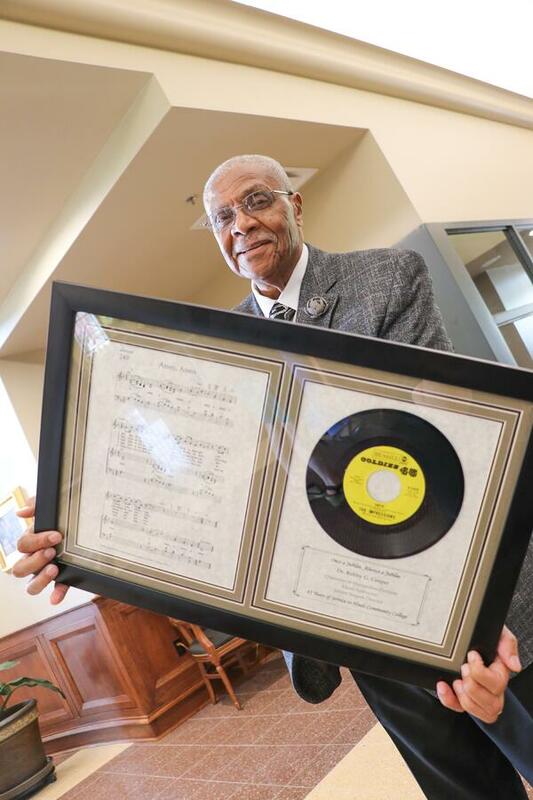 As the longest serving employee retiring this year, with 45 years of service, Dr. Bobby Cooper was presented with a special momento - a framed 45 record of the song "Amen, Amen" and a paper copy of the musical score. The song is one performed many times by Cooper's Jubilee Singers. Dr. Cooper arrived on the Utica Campus in 1972 after receiving a B.S. Degree from Tougaloo College, a M.M. degree from the University of Illinois and a doctorate degree from the University of Colorado. 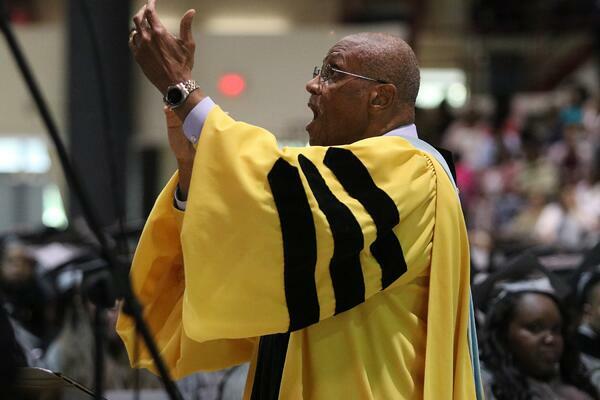 During his 45-year tenure at Hinds, he has been loved and revered by his students. To many he was not only a teacher but also a father figure. 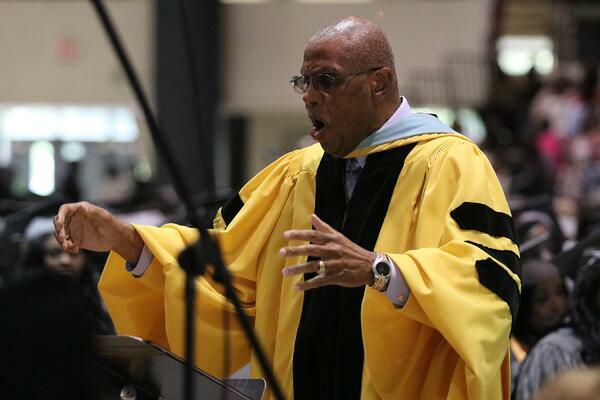 When speaking, he always credits the accomplishments of the original Jubilee Singers who achieved fame in New York City and abroad during the 1920s. Dr. Cooper was fascinated by the rich history of the Utica Institute (which became the Utica Campus of Hinds Community College in 1983) and revived the style of the original Jubilee Singers. The rest is history. Dr. Cooper’s choirs have thrilled many audiences — performing at local meetings, weddings, funerals, school functions and numerous performances in the United States as well as abroad. Many former students have gone on to leadership roles in the music industry, always crediting Dr. Cooper for the role he played in their musical training. Five times Dr. Cooper has been named “Instructor of the Year” at the Utica Campus, and in 1998 was named Hinds Community College Distinguished Instructor. A year later, he was named the college’s instructor for the Mississippi Legislature’s HEADAWAE Program and in 2000 received the 3E Award, the highest honor presented to a Hinds Community College employee. His wife, Dr. Della Larkin Cooper and their children, Dr. Christopher Cooper, Demetria Cooper Miles and LaCarole Cooper Smith are among his greatest supporters. Dr. Cooper’s legacy at the Utica Campus of Hinds Community College will never be forgotten. He brought out the heart and soul of his students. He was a master mentor. 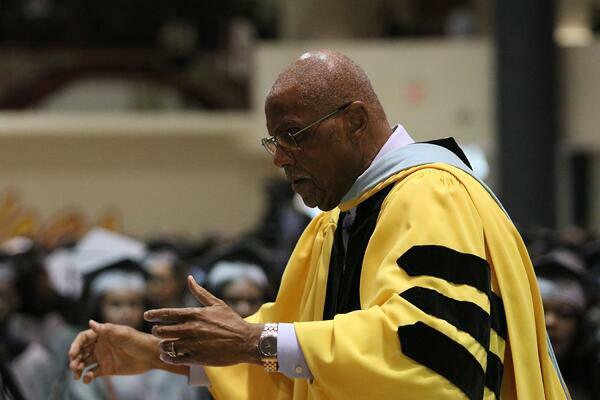 He may have retired but he will continue be a moving force in his student’s lives—past and present. Under his baton, the world was overflowing with the Sound of Music. Rebecca Drake and her husband James established a scholarship in honor of Dr. Bobby Cooper in spring 2012 to show their support for the Jubilee Singers and Cooper. At the present time, Cooper is the longest serving Hinds employee with 45 years of service and is retiring in June.